What price will you pay for beauty? Admittedly, I do pay quite a lot of money when it comes to skin care. I only shop for clothes on the clearance racks, much of the time at Target, just so that I can buy good skin products. My rationale is that I might only wear clothes for a couple of years, but I will wear my skin for my entire life! My preference to put on my skin is for organic, preservative free products. If I’m going to all the effort to eat whole, preservative free foods to make my insides healthy, why wouldn’t I do the same for the entire body? While I do have a few expensive products that I buy, I also have some cheap and good tricks up my sleeve so that I don’t break the bank. 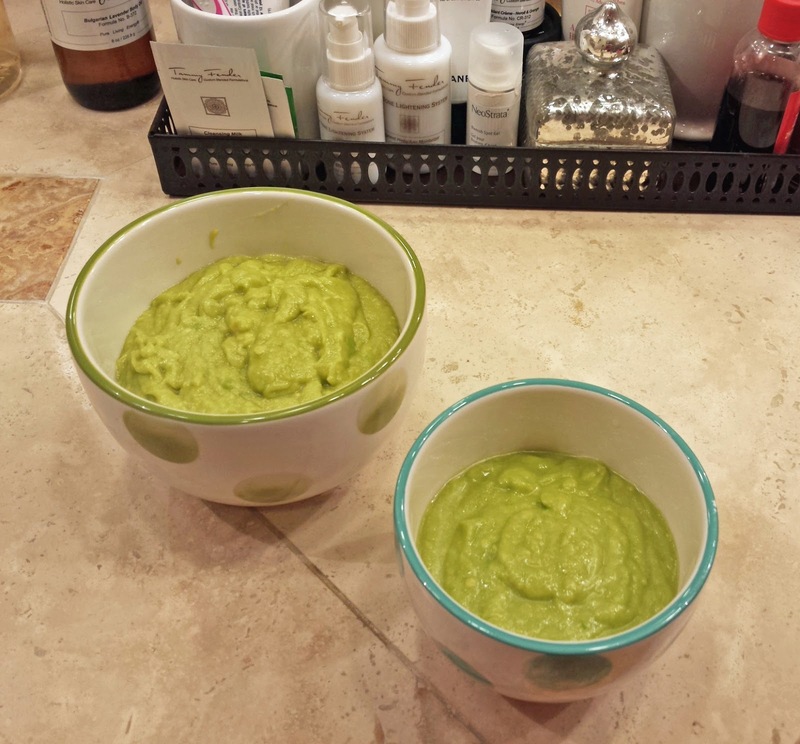 One of my faves is this a Nourishing Avocado Mask, that can be used for both face and body. This mask is multi-tasking, hitting all of my issues; aging, hyperpigmentation, occasional acne, and clogged pores. Nourishing Avocado Mask is super hydrating, evens skin tone, helps with minimizing lines and wrinkles, lightens and brightens skin, treats and prevents acne, and helps to clear and minimize pores. Each ingredient used has a purpose, but can be omitted or changed depending upon your needs. This can also be a very healthy treatment for sunburn, just by omitting the egg white and lemon juice and perhaps adding some aloe vera gel. This mask can be used for both face and body; I tend to make a batch and use it first on my face, then I add more coconut oil and put it on my body. I grab a magazine and hang out in the empty bath tub while the mask does its magic. Here’s what you do to achieve beauty on the cheap! 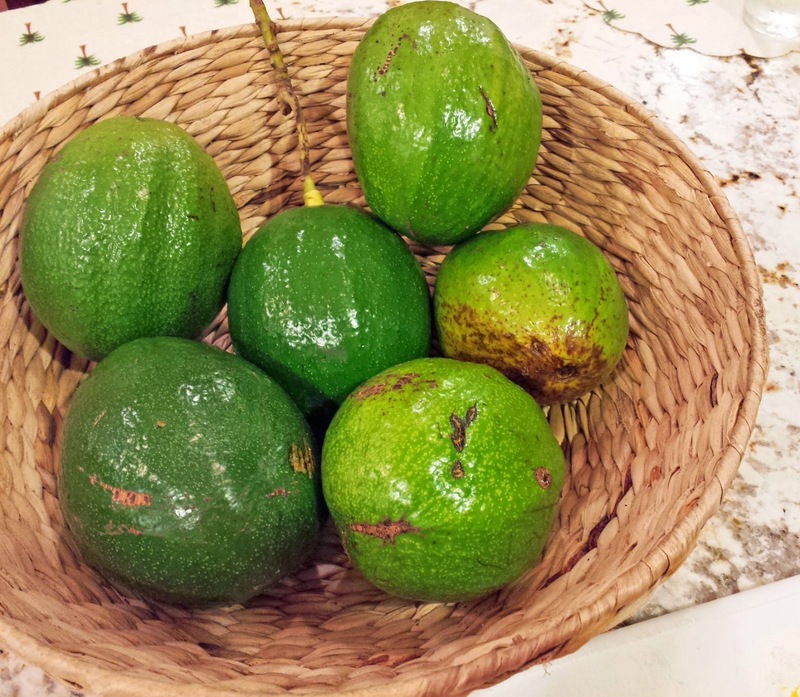 I get avocados from my tree from November usually until February, but this year we still have a few avocados on the tree and it's now mid-March! Avocado is super moisturizing, contains anti-oxidants which help with visible signs of aging, vitamin C helps with the loss of elastin and collagen, Vitamin E assists with those pesky free radicals. Coconut oil provides deep, penetrating moisture. An egg white to refine and minimize pores. Honey is moisturizing and soothing, has anti oxidants for anti aging, is anti bacterial to treat and prevent acne, and clarifies to unclog pores. Lemon juice is anti bacterial to help with acne and black heads, and has citric acid which fades spots and evens skin tone. And smear it on your face in an even layer; leave it on for 20 minutes and then rinse. Your skin will feel be radiant, moisturized and refreshed! It's great to do with a friend or your honey! Billy told me that this picture was okay to put on Instagram, but that I couldn't Tweet it...well I didn't tweet it, but his partner got a hold of it, and he tweeted it, and now everyone has seen it! 1. Put all of the ingredients into a bowl, and blend with an immersion blender. If you don’t have an immersion blender, mash the avocado with a fork and then add the remaining ingredients and whisk them together. 2. Smear the mask in an even layer on the face and neck, and leave the mask on for about 20 minutes. Rinse well to remove the mask. There’s no need to moisturize after using this mask. Store leftovers in the refrigerator for about a week; you may use this mask once or twice per week. 1. Prepare the ingredients as in the facial mask instructions. 2. Smear the mask in an even layer on the body and find a place to sit for 20 to 30 minutes. I find that the bath tub is a good place to hang out. Rinse well to remove the mask. This mask will need more lemon juice added to it in order to store leftovers in the refrigerator. Notes: You may also prepare the facial mask and then just add a little more coconut oil and apply that to the body. The extra lemon juice does have lightening properties though, which I don’t mind, but if you’ve been working on your tan you may not appreciate that. This is also a great healing mask to apply after sunburn, however omit the egg white and the lemon juice. I am going to make my husband do this with me! 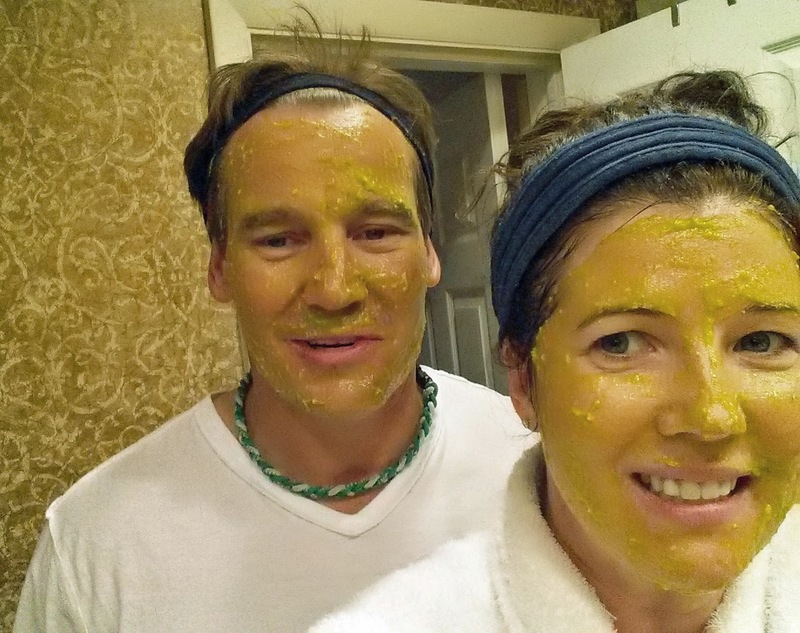 You know what they say...Couples that do skin care together...!